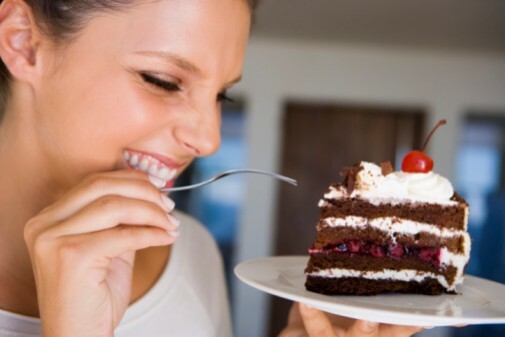 Most people know that eating sweets is not the healthiest choice, but new research suggests consuming sweet foods does prompt a person’s brain to form a memory of his or her meal. Researchers found that eating sweets stimulates neurons in the portion of the brain linked to episodic memory, which controls one’s ability to recall a previous experience from a specific place and time. In a previous study, the research team also concluded that disrupting the memory-making process after a meal could cause people to eat an increased amount of food sooner than they would have otherwise. Melendi recommends people write down what they eat and drink every day in order to have a complete picture of their diet, especially if weight loss is a goal. Keeping a food journal could help identify ways people can improve their eating habits, and is a healthier alternative to memory-jogging sweets. Oh please stop doing these ridiculous investigations, no wonder people overeat they read drivel like this.